Martyrs' Day in South Sudan is observed on July 30. It is a public holiday and a remembrance day that commemorates the death anniversary of John Garang de Mabior who is widely considered the most influential person in the history of South Sudan. John Garang was a Sudanese politician who led the Second Sudanese Civil War that resulted in the independence of South Sudan. He served in the Sudanese military for eleven years and eventually earned the rank of colonel. By 1983, Garang was part of a conspiracy among a group of officers in the Southern Command. That year, they began a rebellion against the government-imposed Islamic law. Garang's aim was to build a “New Sudan” based on national unity. In July 2005, Garang went on a meeting with his long-time ally Yoweri Museveni, President of Uganda. On his return to Sudan, the helicopter he was flying in crashed. Garang died on July 30, 2005. Revolutionaries began to observe his death anniversary as Martyrs' Day in 2006. 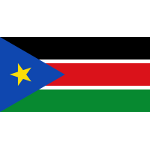 When South Sudan gained independence in 2011, it was declared a public holiday. On Martyr's Day, a solemn remembrance ceremony is held in the capital city of Juba to honor those who died struggling for the independence of South Sudan or fell victims to South Sudanese Civil War that began in 2013.